Last Sunday,I visited a Spanish restaurant "La Gallega" in Kyoto (Near Keihan Sanjo Station). It was our first time to visit here. 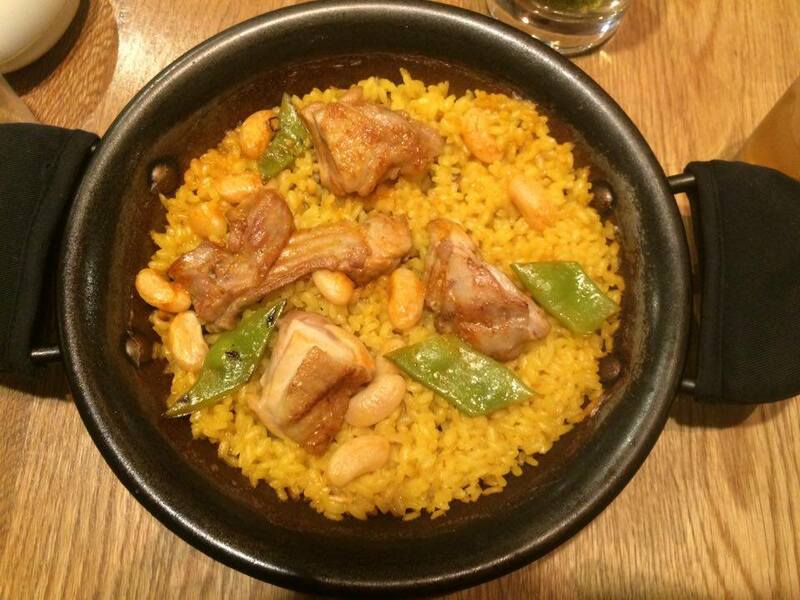 I ordered "Chicken & Rabbit Paella". This photo. Mui rico!!! I love this. My husband ordered "Gambas al ajillo",and "Tortilla de patata".He loved them,too! Next time,I'll try Iberian pork Paella! It seems you thought to Europe, Kumiko! i'm not a fan of Spanish cuisine but I'm glad you enjoyed the food. Please have a nice weekend! You too,please have a wonderful weekend.